After considering a comment on my earlier post by my friend Rae, I think I now know what happened. When Norma and Nancy were cleaning the motorhome the other day they were using the 120 volt heater and vacuum cleaner on the same GFI breaker. The fridge was also running on that breaker. The fridge has been running on AC for most of the summer and when the breaker tripped, it tried to transfer to gas. Since it has not run on gas since April and it has been raining here for days (weeks), everything was too damp for the flame to light. That was when she noticed the check light was on. After drying out in the shop and resetting the GFI, it worked properly. One of the things I would have done as part of my trouble shooting if I had the time, would have been to try to dry the outside compartment out with my heat gun. That probably would have fixed the gas problem and I eventually would have found the tripped breaker as well. Thanks for steering me in the right direction Rae! I must admit I reacted a little quickly when I discovered the fridge would not run. I would normally do a few more checks myself before sending it off to the repair shop. To be fair to myself, I was a little squeezed for time because if I didn't take advantage of a cancellation yesterday morning, I would have had to wait a week to get it in and that would have been cutting it way too close. We drove it down late Monday afternoon and left in overnight so they could start on it first thing Tuesday. I explained the problem, asking them to fix the fridge and to make sure the water heater and furnace worked properly. They called shortly before closing time to say it was ready. I nervously asked the cost and was told $119. Humm, doesn't sound like enough. I asked what they found and was told, "Nothing, everything works fine, you are ready to go". I reminded him that the fridge did not work when I left home and he said, "Well, it is working now". I asked him to plug it in and let the fridge run overnight just to be sure and I would pick it up this morning. We drove down, saw the manager and told him we wanted to go into the rig and check everything out for ourselves. The fridge was working fine with the freezer freezing. The water heater fired up, although it took two tries and the furnace blew hot air. I questioned the technician and he said the bathroom GFI was tripped and that provides power to the fridge. Well, that might explain why it did not work on electric but why wouldn't it work on gas? He just shrugged and said everything worked. Maybe it just got a chance to dry out. I topped up the fuel and propane tanks and brought it home, parking it in the driveway where it is convenient to load. I plugged it in and the fridge switched to electric. Everything works. We will start loading it but probably will not leave Campbell River until November 7th. It is a day or so later than we planned but we both want to watch the USA election on the night of the 6th. We will spend Wednesday night in the Black Ball Ferry parking lot in downtown Victoria and have dinner with Brooks, Linda Lee and Linda Lee's parents. One week to go! I Should Know When To Shut Up? Many of my fellow Bloggers have made the conscious decision to avoid politics. I have thought about this and my wife has encouraged me to do so as well. Well, tough. I am not going to. If I lose a few readers, those are not the people I want here anyway. 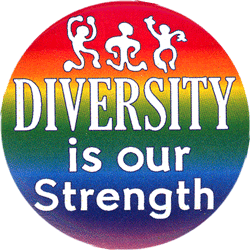 If you are offended by my politics or lack of religion I am sure there are many other Blogs you would enjoy. I started this Blog for myself and have always been amazed at the number of readers who have joined me along the way. I never expected anyone else to read this. I know I am not a great writer and I know my politics are on the fringe but my thoughts are mine and are what I believe in. What you see here is what you get. I am an unashamed lefty atheist, but then you have probably figured that out long ago. I state my opinion and admit to trying to steer the opinions of my readers. I appreciate every one of you and value your comments and opinions more than you know. As long as you sign your name, I will not delete your comments. I consider you all my friends and even if we do not always agree, I will try to keep you amused. My tongue has been loosened tonight by our house sitter, a childhood friend of our son who visited tonight with a $200 bottle of really nice single malt scotch! I discovered yesterday that the motorhome fridge would not run on 120 volt or on gas! It tries to start and then the "check" light comes on. It has been working fine as Norma had wedding stuff in it most of the summer. She and Nancy were out there cleaning last week and she noticed the "check" light was on. The food in the freezer was still frozen solid so it had not been in trouble for long. I played with it for a while, turning it on and off in both modes and finally called our local RV repair. They were booked for the next week but had a cancellation tomorrow morning. We rushed down to buy insurance for the rig and dropped it off at Bill Howich RV Repair. I will be anxiously be awaiting a phone call from them tomorrow. Our house is less than 200 feet from the ocean. This brings the odd unwanted house guest from time to time. At least once a year a mouse or rat sneaks in a door that has been left open and sets up housekeeping. About a week ago we started noticing traces of a new guest. A potato was removed from the pantry and taken behind the freezer where we found it's remains. We also found small black droppings on the kitchen floor. Considering myself somewhat of an expert on these matters, I concluded it was a mouse. I set up mouse traps and sticky pads around the kitchen and laundry room. The first night one of the sticky pads disappeared. Strange... The traps had all been cleaned of the peanut butter bait as well. I added more bait and the next night I awoke to the sound of a trap going off. I investigated and found the sprung trap but no mouse. The other traps had been cleaned off again. Well, maybe this was something bigger than a mouse! I pulled out the heavy duty artillery. The rat traps that will easily break a finger if you get it caught in them. I set up three of them and yesterday morning found they had all been relieved of their bait. But no victim. I re-baited them and this morning Norma got up to find one of them in the kitchen with a foot long Norway rat in it with his head squashed and a large amount of blood pooled around it. Well, that was the end of my sleep-in! We are pretty sure there was only one so we put the traps away until next time but will keep close watch for more droppings. We won the battle but have no delusions that we have won the war. Norma and I removed all the inside vent covers, screens, A/C cover and filter and window screens a few days ago. On Wednesday Norma and Nancy cleaned everything cleanable in the motorhome and yesterday I put all the covers, screens and filters back on. I bleached the fresh water tank and ran all the hot and cold water taps until I smelled bleach coming out of each. That will take care of any critters or mold in the system. We dumped some strong cleaner down the toilet so the black tank will scrub itself clean by sloshing around while we travel before our first dump. I reviewed our route down into Mexico and discovered things have changed at our usual point of entry, Lukeville, AZ / Sonoita, MX. In the past we simply drove through this crossing and continued to the Aduana (Customs) buildings at KM 21 on Mex 2 where we got our FMM's (personal visas) and TIP (temporary import permit) for the car. The motorhome has a ten year permit already. We could get everything in one stop and there was a copy place and a bank there to pay all the fees. Convenient. Well, typical of Mexican bureaucracy, this has now changed. The building is no longer there! The process now is to park on the Arizona side of the border and walk across to the Migracion office to get our FMM's. This process is reported to take up to 90 minutes. They can be paid for right there but I do not know if I can pay with USA dollars or if I must have pesos to do this. If so, I will have to try to get some pesos as I do not think there is an ATM at the border. We then walk back to the USA to pick up the mptorhome, drive back across the border and follow Mex 2 to the village of Altar where there is a brand new Aduana building where we can get the permit for the car. Again, I do not know if I can pay there or not. We shall find out and I will report on what happens. After this stop, it will be a short drive to Edgar and Anna's Punta Vista RV Park in Santa Ana. They are a neat couple, he Mexican and she from Mississippi. Very friendly people and eager to offer advice for Mexican travel. If you have or want to spend the night in Santa Ana, don't hesitate stopping there. I made my semi annual visit to my doctor yesterday and got the "OK" to head out. He had all my lab results and everything was within safe levels. I had some kidney problems almost twenty years ago and have had regular annual tests since then. I asked about it and he said, "You have the kidneys of a twenty year old"! They take a reading of kidney function and want to see anything over a "70" figure. Mine was 125. This represents healthy, well functioning kidneys. Our house sitter is moving in over the next few days and Norma and her friend are going to give the motorhome a scrubbing. I have to clean out the fresh water storage tank and add a little bleach to it. I will flush out the holding tanks with a little bleach as well. I have not had a chance to connect the dolly to the motorhome to check out the wiring after the fender repairs in the summer but I have confidence in my wiring ability. The dolly is parked in front of the motorhome so it means rearranging everything to connect the dolly for this final test. The tires are good, the coach batteries are new this year and the engine battery is new last year. I will polish the solar panel, fill the gas and propane and everything should be good! We will get an oil change on the way through the USA and buy extra oil and a filter to get it changed again in Mexico if needed. My feet are getting itchy! 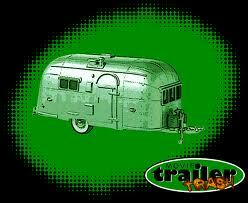 Many of our RVing friends are already on their way so I am getting that left behind feeling. One couple had problems crossing the border but they are much younger than us and the USA Customs questioned their ability to support themselves over the winter. After 90 minutes of questioning the finally convinced them of their ability to pay their own way without illegally working in the US. We have never had a problem crossing the borders, any of them in either direction. I guess we look old enough to have a pension or to have saved some money. "D-Day" (departure) is in ten days or so. Life is good! After the disastrous day in the markets Friday, I am still up $110 for the week! Friday did not hit Canada as badly as the USA. All is still good! We can go out for dinner. Well, maybe lunch! All in all, my investments are rising. There are good days and bad days but the good far outnumber the bad. Norma is getting nervous and saying we should get out of precious metals for a while. She is listening to too many doom and gloom financial consultants on the radio. I will talk to my "guy" before we leave. My precious metals actually went up a bit last week. It was the more conservative funds that brought me back down. I need a crystal ball. Well, it was fun to watch the second debate, this one attended by the President. He held his own and according to most polls, actually won. 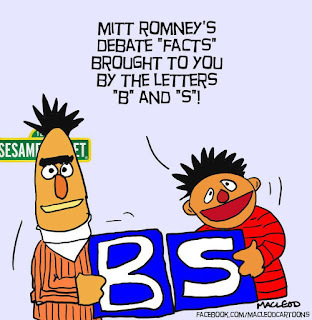 It was fun watching Romney paint himself into the corner over the Libya attacks and Obama's statements the next day. Jon Stewart nailed it when he said, "When you are about to jump up and yell "checkmate" and your opponent sits back and says "Proceed, Governor" you might want to think back to Wiley Coyote and the Roadrunner and think, "Is that doorway ahead of me just a doorway painted on a rock?" Well, it was and Wiley Romney ran head first into it. Smack! Like I say, the majority of polls are showing the Presidents lead increasing again. I can't wait to get back to the USA to watch first hand. We might even be there for Election Night! Will He Throw A Punch? We know he can. Look how he decimated Hillary in the primaries in 2008 and she is no lightweight herself! He has to take the lead and attack Romney who has left himself wide open for attack. He has been caught in lies and he has continuously changed his positions. He does not want to be reminded of this and Obama politely downplayed these issues in the first debate. It is time for the gloves to come off! We want to see the same Obama we saw in 2008! Where were the questions on choice? Where were the questions on equal marriage?, Voter suppression? Romney was up to his usual lies and Obama did challenge him on a couple. One biggie he missed was Romney saying his Blind Trust "might" invest in China. EVERYONE can repeat almost word for word Romney's previous statement that blind trusts were a scam, that anyone can tell a blind trust what and what not to invest in. It wasn't a knockout but it went to Obama on a decision. Tonight, I hope you saw exactly what's at stake in this election. This race is neck and neck. What happens in the next three weeks will determine which side wins. That's in your hands -- I'll be fighting as hard as I can, but I can't do this without you. If you remember the 60's, you can hum along with me. Yesterday morning I was laying in bed looking out at the rain when I noticed the rain gutter outside the window was overflowing! Ha! A project. Around noon the rain stopped so I unwound the hose, hauled the extension ladder out and climbed up. The back, shaded side of the roof attracts moss like crazy and it had a good crop going this year, I guess it has been a while since I dealt with it. I went up to the peak and started working my way down, using the high power jet from the hose to wash the moss out from between the roofing sheets. It worked better than expected and after an hour or so I declared the job done. I then went to work clearing the gutters of accumulated crap and gave them a final power wash until they looked like new. By the time I cleaned up and put everything away, it was about a three hour job, a good day's work for a retired 67 year old. All that bending, stooping, kneeling, carrying and climbing had aggravated my back a little so I felt I deserved a few hours in my recliner watching TV. We had pizza for dinner. It was a good day. Life is Good! The Provincial election here in British Columbia will be on May 14, 2013. The "Liberals" are in power now. They are our right wing party. We also have a "Conservative" party which competes with the "Liberals" for being the most right wing. The Liberals are in trouble for making massive changes to BC's sales tax system after promising they would not do it. The Premier, Gordon Campbell, resigned in disgrace and was replaced by Christy Clark, a former radio talk show host who has been unspectacular in her new job to say the least. We voted on what to do with the sales tax mess and the people overwhelmingly said to put it back the way it was. That was her job and she is dragging her feet. Her foot dragging (among other things) will cost her the Government. My horse in the race is the New Democratic Party, lead by our friend and ex-neighbor from Victoria, Adrian Dix. He is a very smart guy, much smarter than me. He is also young and energetic and will do a good job. 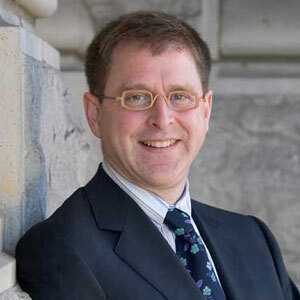 Adrian Dix. He looks smart, doesn't he? Well, I decided to update the software on the iPod. It is a 4th generation iPod Touch with 8GB of memory. Brooks had a bunch of photos in it as well as a lengthy movie that was taking up a bit of that space. I deleted them and let iTunes start the update. I went outside to do some chores and when I came back the screen told me the update had failed! I was looking at a black screen! I unhooked the device and re-started it. It opened and said it had found my WIFI. I said OK and then it asked if I wanted to set the unit up as a new iPod. I did that and it is now running OS 6, the latest version. Great, just what I wanted. I entered all my information, gave it my credit card number and it worked! All Brooks' custom apps were gone but I quickly learned how to get my own. I got my Credit Union app and I can access my accounts. My credit card company has an app which I got but can't make work. I will call them for a talk-through. I got Slacker, RV Parks, currency converter and a few more. They were all free except the Priceline app which was a whole 99 cents. It was a good way to test my credit card on the iPod. It works. I bought a Philips docking station so I can get good sound and discovered Philips has an app that works when the iPod is docked. It gives me dozens (hundreds?) of radio stations and an alarm clock. There may be more stuff I have not found yet. I can also plug the laptop into the dock so I can listen to all the music I have on the computer. The only downside is the iPod only works with WIFI. I have a Cradlepoint to produce my own WIFI zone from a broadband Internet stick but, 1) I don't know how much bandwidth this radio streaming uses and, 2) my Mexican Telcel stick is not compatible with the Cradlepoint so I never had my own WIFI in Mexico. The stick works in the computer but not in the Cradlepoint. Telcel has a new stick out so I will have to see if the new one is compatible. If so, I will upgrade. How did I ever live without this device? Life is Good! It was Canadian Thanksgiving this weekend. We had a pretty quiet time. Brooks and Linda Lee had some work and did not drive up and Norma was busy using the last of the nice weather to work in her garden. I was busy reminding her that we had to start getting ready to head out for the winter. Sunday morning we decided to drive down to visit the kids for one night. We had a load of stuff from the wedding as well as a cooler full of frozen fish that was given to them for the wedding by their fisherman friend but was not needed. We loaded up the Mazda and headed down. It was a nice visit, the first we have seen them since the wedding. Brooks had hauled a couple of fallen trees out of the back of their property and cut it up for firewood. There are a few more trees back there that will be a little harder to get out. They are going to make an effort to heat the house for the winter with wood which is not that hard to do with the high efficiency wood burning stove they have. Two or three loads of wood a day will do it. I stayed working at the Ritz through grade 12 and first year of college after cutting my hours back because after all, my candle only had two ends and I was burning both pretty steadily. After my first year of college (called grade 13 back then) I became available for daylight work and my boss, Walter Jackson, asked me if I wanted to move over to the Chevron gas station he owned on the corner of Hamilton and Georgia streets. I would be running the front end (gas pumps and cash) while my friend Al would be the lube and oil guy (remember those full service days?). It was a much less frantic job and paid a little more, plus it was days. A win, win situation. I think my hours were noon to six, six days a week. No union here. Vancouver's Queen Elizebeth Theatre was just across the street and had performances many nights. Seeing an opportunity to earn a few overtime dollars, Al and I asked Walter if he wanted us to stay at night and sell parking to the theatre patrons. His response was, "We are too small a lot to make it pay, so no". The station closed at 6:00 and we watched many cars park for free on the lot as we left so we asked him again several times. His answer was always, "No". Well, Al and I thought it was time to be a little enterprising on our own. We could squeeze about 12 cars onto "our" lot and there was a tiny empty dirt lot next door that would hold another ten or so (3 wide, 3 or 4 deep) if they parked like sardines (we had no idea who owned that lot). One night we stayed late and charged people $.50 to park. It was a big hit and we were sold out in a half hour. We were so successful that after a week or so we raised our rate to $1.00, a lot of money in those days of $1.50 per hour wages! All we did was stand at the entrance collecting cash and handing out a slip of paper with "Paid" hand written on it to leave on their dash, not that we ever checked. They parked themselves at our instructions and were so packed in that they had to leave in the reverse order they arrived but we had no complaints. We only hung around until we were full or the performance started at 7:00 or 8:00 so that meant we were splitting $20 plus the odd tip for that extra hour or so! Walter never got a cut as we had given him every opportunity to cash in himself. I don't know if he knew what we were up to or not. If he did, he never mentioned it. The free enterprise system in action! One of my first jobs in Vancouver was parking cars at The Ritz Hotel on Burrard Street. I have searched the Internet for a photo of this long since demolished hotel but could not find one. Too bad. For you historians, radio station CJOR broadcast from the Ritz for many years and broadcaster Pat Burns was a regular visitor to my booth out the side door as was the Vancouver Sun's "Night-Beat" columnist Jack Wasserman, a friend of Burns who would stop by for a drink in the bar many nights. Very interesting men who always had a story to share. My job at the Ritz involved working in the parking lot from four until ten on week nights and four to midnight on Friday and Saturday nights. I would take the bus right from school and do homework in slack periods (ya, right). I actually worked for a contractor, the Downtown Parking Corporation. In those days the customer pulled up to the side door and I would park their car, hang their keys on the wall of my booth and when they came back out, grab their keys, fetch their car and charge them fifteen cents an hour ($.25 for the first hour) for the time they were parked. If they intended to stay after closing time I would park their car in our unlocked overflow lot across the street, charge them for up till closing time and give them their keys back. It was a great system and since the Ritz was an "upper class" hotel, I got to drive a lot of very nice cars! It made up for my $1.15 per hour wage (plus tips). This was not my first job, that one was as a bagger at the Loblaws grocery store in Burnaby's Guilford Mall back in 1961 when I was in grade ten and worked after school Friday nights and all day Saturday. 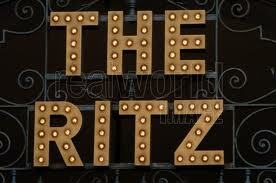 The Ritz was the haunt of many high class "Ladies Of The Night" who plied their trade in the hotel. Several parked their cars with me and you would never know their line of business unless you got you know them better, as I did (in my profession, not theirs). One of them drove a newish (Early 60's) Jaguar. It was a beautiful car. One night as she was parking she said, "I am flying down to San Francisco for the weekend with a client. Could you wash my car for me while I am gone"? I told her I had no access to a hose and it was not one of the services the hotel offered. She then asked, "Could you take it home and wash it there?" Well, she didn't have to ask me twice! I got to drive one of the classiest cars sold for three whole days. I returned it to her spotlessly clean and with a few hundred extra miles on it! I was rewarded with a tip of $10, more than a day's pay. What can I say, she liked me. Remember, I was only 17 or 18 and the legal drinking age was 21 at that time. The Four Tops once played a few nights in the Ritz lounge. One of the the hotel managers was friendly to me and at midnight Saturday night as I was cashing out he came out to ask if I would like to go in to see their last performance and have a drink at the bar on him. I told him thanks, but I was not 21 and did not want to get him in trouble. I was tall and looked older so he said, "No problem, you are my guest". He took me in, we sat at the bar and he bought me a rum and coke as we watched the last set of The Four Top's Vancouver visit. After they finished the group came over to the bar for a drink and I met all of them, including Jackie Wilson's cousin Levi Stubbs. That was the start of my lifelong love of Motown music. I stayed there until after I graduated and started working full time at a gas station across from the Queen Elizabeth Theatre for the same employer. I will save that story for another post. We will be heading south in about one month from today! The summer has gone incredibly fast and only a few of the things we wanted to do got done. This is pretty typical for us and nothing that got missed was critical. We did have the wedding that took up a lot of the time so I have an excuse. Norma is cleaning up her flower gardens for the winter so that is keeping her busy. The rose bushes have to be cut back so I will have to help her with that job. There are still flowers on them so she is delaying the job. The motorhome is in good shape and I will get an oil change when we get to the States. The generator did not get that many hours put on it last winter so I think we can skip the annual maintenance we usually get done in Yuma. I will buy a couple of bottles of wax in the States and get a couple of hand wax jobs done in Mexico for about $40 each. Can't beat that price and it is not worth doing it myself. We are towing the Honda this time instead of Norma's Mazda. It is smaller and lighter and the motorhome likes towing it better. The motorhome had a recurring problem with the "Check Engine" light coming on last year. It indicated a low fuel pressure condition that had no basis except it came on after every hard climb and the mechanic figured the engine was just working too hard and could not get enough fuel. Maybe the lighter towing load will help this situation. The Honda is 24 years old and owes us nothing. It has 265,000 KM on it and runs great. 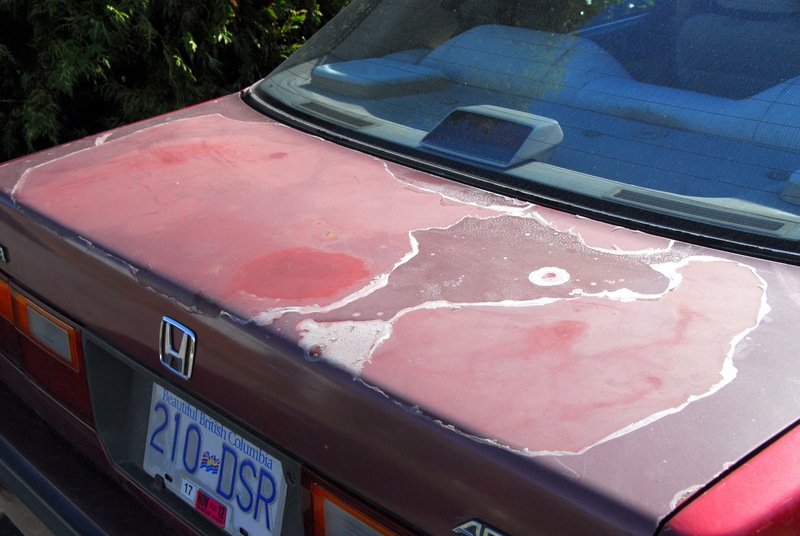 The paint is in trouble after having baked in the Arizona and Mexico sun for many winters and the clear coat has peeled off in many areas, leaving the exposed paint to fade badly. I will get a paint job done in Mexico, perhaps at the same place we used in Merida when the doors were damaged in the accident we had down there. There is only one small rust spot to be repaired so the job should not cost too much. The body shop is owned by a relative of Jonna's mechanic and since the Honda needs new CV joints installed and a minor oil leak repaired maybe we can get everything done at once. It will be good as new. Think it needs a paint job? I upgraded the RAM in the netbook from 1 GB to 2 GB. My local computer shop did this task for $30. I could have bought the RAM on Ebay and installed it myself for $22 but for only $8 more he installed and tested it. It was a good thing as the first 2GB module he put in showed up as only 1GB so he had to try another which did work. I am not sure I can notice any difference in performance since the upgrade. I asked him what he thought of Windows 8. He said he had only tried it once when he installed it on a customer's new machine and did not like it. It was the pre-release version and he did not like the user interface. He knew it could be tweaked to look like W7 but he did not do that. He said if it were him, he would just keep the old XP on the netbook. I will have to do more thinking about it.